Want to spend the best year of your life in the most fun city on Earth? Want to live with other international students in an amazing apartment with a great ambient and friendly atmosphere? The apartment has been newly renovated and painted, and has a new furniture set. The kitchen is equipped with a hot water gas heater, fridge, clothes washing machine, dry rack, iron and ironing board, gas cooking stove, microwave oven with grill, cookware, dishes, glasses and cutlery. The apartment is in a first floor with lift. There is WiFi ADSL internet in all the apartment. NOTICE that the Chimbo apartment has been recently remodeled and painted and therefore we still do not have pictures of the apartment. The picture in Erasmusu is from another room in another apartment very similar to the Chimbo 2 room, but it does not correspond to the actual room. Our Chimbo Apartment has a fantastic location between the Oporto (Line 5 green, 6 gray) and Opañel Metro Stations (Line 6 gray). All the amenities nearby: supermarket, grocery stores, bars, cafés, shops... It is right next to the fantastic Parque Sur, ideal for walking, cycling and any kind of exercise. The well known Maravillas swimming pool and 24 hour gym is also right there. It is in the same Metro line as Ciudad Universitaria, where the main campuses of Universidad Complutense and Politécnica are located, so getting there only takes around 25 minutes. There are also many bus lines that stop right there. Getting to the most centric place in the city (Puerta del Sol) only takes 15 minutes using Metro. Apart from normal buses and Metro (which works from 06:00 am until 01:30 in the evening), night buses that work all night allow you to get back home no matter how late it is. The Plaza Elíptica Metro and Bus Station is also very close to the apartment (300 m away, 3 minutes walking), allowing very fast communications to several towns in the southern area of Madrid where the Universidad Carlos III and Rey Juan Carlos are located. For example the bus lines 441, and 442 only take 15 minutes to get to the Getafe campus of UC3M. The monthly transport card (Abono Transportes) lets you use all the transport in the city (Metro, Light Metro tram, short distance trains Cercanías, buses, night buses) for a very low price. The A transport area includes all the city centre and is where the apartment is located as well as most university campuses. The price is 20 eur per month if you are under 26 years old, and 55 eur if older. Depending on campus, if you attend the UAM, UC3M or URJC you may need a more expensive B1 or B2 transport card, but if you are under 26, all transport areas are included in the 20 eur monthly price. The expenses of the apartment (electricity, internet, water, condominum) are paid apart and are approximately 50 eur per month and per person depending on consumption. We are a small family business and directly own the apartments that we rent. We are not intermediaries and we really care about all our tenants. That way we can also offer you the best prices and we do not charge you any hidden comission or matriculation fees! Do not lose time and contact us as soon as posible, we are sure you will not regret! 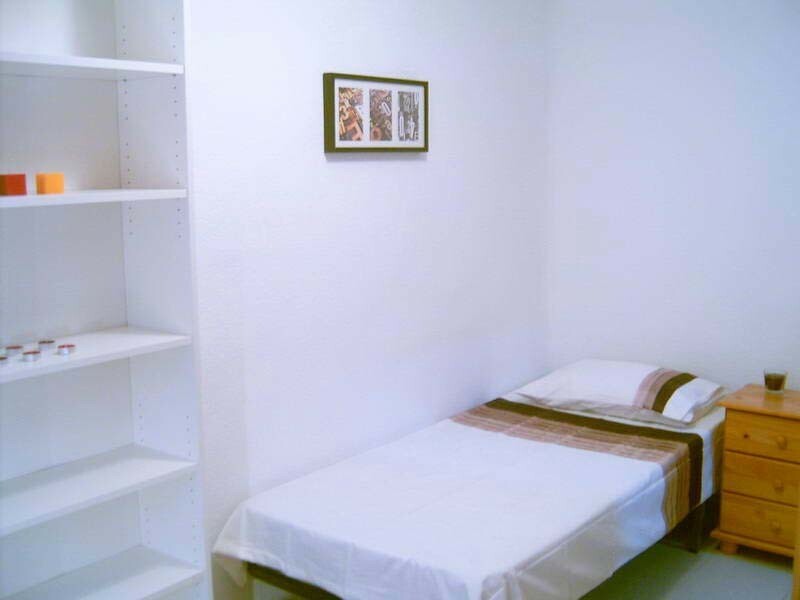 Monthly rentals: 3 months minimum stay, taxes included, expenses paid apart (aprox. 50 € per month and per person), 1 month deposit. Daily rentals: 10 days minimum stay, all expenses included, 10 day deposit. Stays under 1 month duration will have a 40 eur sign up fee. Usually only offered between june and august 20th, but can consult with us the availability. If you need additional information or want to make a booking do not hesitate to contact us.